Harry Cecil Bowen was born on New Year’s Day 1895 in Wrotham Heath, the second eldest of eight children of Henry Bowen, a local brickmaker, and his wife, Alice Ada Terry. He was christened in St Mary’s Platt Parish Church and attended Platt School, afterwards working as a farm labourer. Cecil (as he was more commonly known) enlisted in the Royal Navy on 9 December 1915, initially serving as a stoker, second class at HMS Pembroke II which was a shore establishment in Sheerness primarily used for the Chatham barracks with men returning there between ships for leave, training and admin. 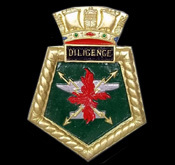 On 8 March 1916, Cecil transferred to HMS Diligence, a depot ship based at Scapa Flow which acted as a “Post Box” and accounting, pay centre etc. for the Destroyers’ equipment, munitions and men. Cecil would have been serving as part of the support team although eighteen months later he returned to Pembroke II and was invalided out of the Navy on 17 October 1917 having been diagnosed as suffering from tuberculosis which was a disease that would eventually claim his life. In his final years, Cecil lived in a shed at the end of the garden at Forge Cottages in Wrotham Heath and died on 31 August 1923 with his family by his bedside. As Cecil died after the construction of the Platt War Memorial his name wasn’t included on the original memorial plaques, however, he was commemorated on another memorial in the church that was created in 1923 and mounted at the back of the church. In 2016 his name (as Harry) was included on a new plaque added to the relocated Platt War Memorial.